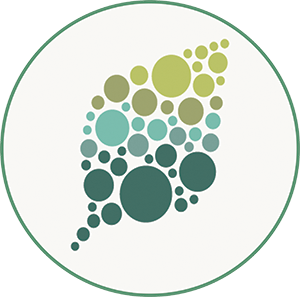 Background: Chloroplasts are the major powerhouse of plant and algal cells, where photosynthesis—the conversion of carbon dioxide into organic compounds using sunlight energy—occurs. Chloroplasts are also where important cell components (such as membrane lipids and pigments) and energy-rich compounds (such as starch and fatty acids) are made. 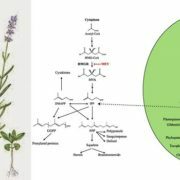 Because plants and algae often face strong variations in the sunlight and nutrient levels, the many light-capturing and biosynthetic reactions occurring in chloroplasts must be tightly coordinated with the reactions occurring in other internal cell compartments to ensure cell growth and survival. 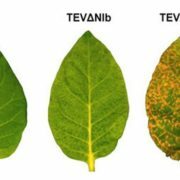 Trafficking of energy, metabolites, and signaling molecules between the chloroplast and other cell compartments remains poorly understood and is thus an area of intensive research. 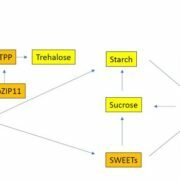 Question: Peroxisomes are relatively less studied internal compartments that are known to be important for degrading lipids, including membrane lipids and storage oils. We wanted to know if peroxisomes played other roles in energy trafficking and if any communication occurs between peroxisomes and chloroplasts. Findings: Using mutants of the single-celled green alga Chlamydomonas, we provide evidence that a reaction occurring in the peroxisome under conditions of nitrogen starvation (i.e., oil accumulation) alter photosynthesis and chloroplast metabolism. 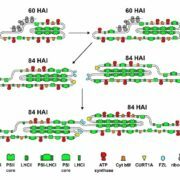 Communication between peroxisomes and chloroplasts may occur via an organic acid, malate, and partly through hydrogen peroxide, a molecule generated in the peroxisome that also plays a signaling role in the cell. 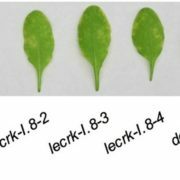 Chloroplast-peroxisome interaction seems to play essential roles in downregulating photosynthesis and attenuating oxidative stress during adaptation to harsh environmental conditions such as nutrient deficiency and high light exposure. The absence of this communication resulted in cells sustaining a higher photosynthesis rate and overaccumulating oil and starch. Next Steps: Our work highlights the importance of peroxisomes in algal metabolism. 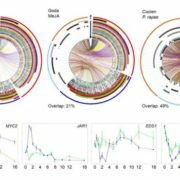 The next step will be to examine the role of peroxisomes and their interactions with chloroplasts in other algal species as well as in land plants. 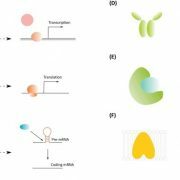 This information potentially will allow us to gain insights into the evolution and physiological function of peroxisomes and their role in the ability of photosynthetic organisms to adapt to a fluctuating environment. Fantao Kong, Adrien Burlacot, Yuanxue Liang, Bertrand Légeret, Saleh Alseekh, Yariv Brotman, Alisdair R. Fernie, Anja Krieger-Liszkay, Fred Beisson, Gilles Peltier, Yonghua Li-Beisson (2018). 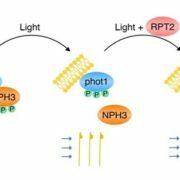 Interorganelle Communication: Peroxisomal MALATE DEHYDROGENASE 2 Connects Lipid Catabolism to Photosynthesis through Redox Coupling in Chlamydomonas. 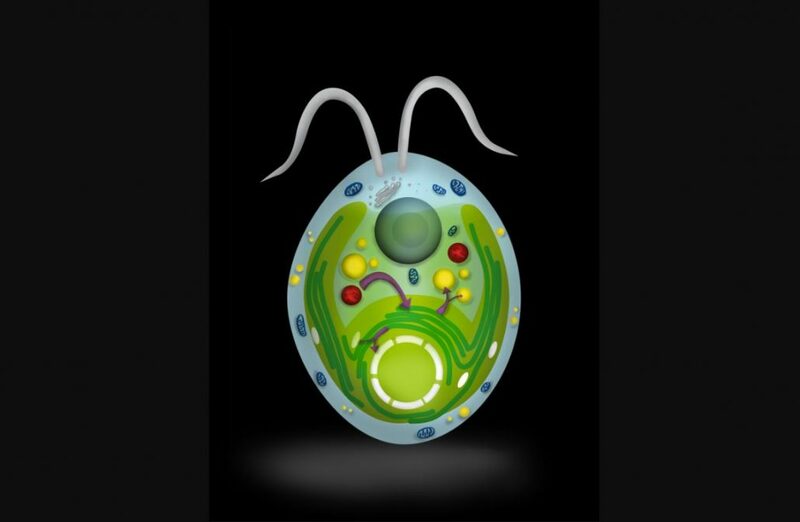 Plant Cell https://doi.org/10.1105/tpc.18.00361.